DEARBORN, April 19, 2018 – The 2018 Ford F-150’s first 3.0-liter Power Stroke® diesel engine officially boasts EPA-estimated ratings of 30 mpg highway, 22 mpg city and 25 mpg combined. These are the highest EPA-estimated ratings available in a full-size pickup truck. These benchmark figures are the result of more than a decade of work developing a lightweight high-strength, military-grade, aluminum-alloy body, a 10-speed SelectShift® transmission, and robust engine construction of aluminum and compacted graphite iron to deliver durability, reduced weight and stump-pulling torque. In addition to its leading fuel economy ratings, the all-new F-150 Power Stroke boasts best-in-class* diesel power – 250 horsepower and a stout 440 lb.-ft. of torque – greater torque than a 2019 Ram 1500 Hemi V8. 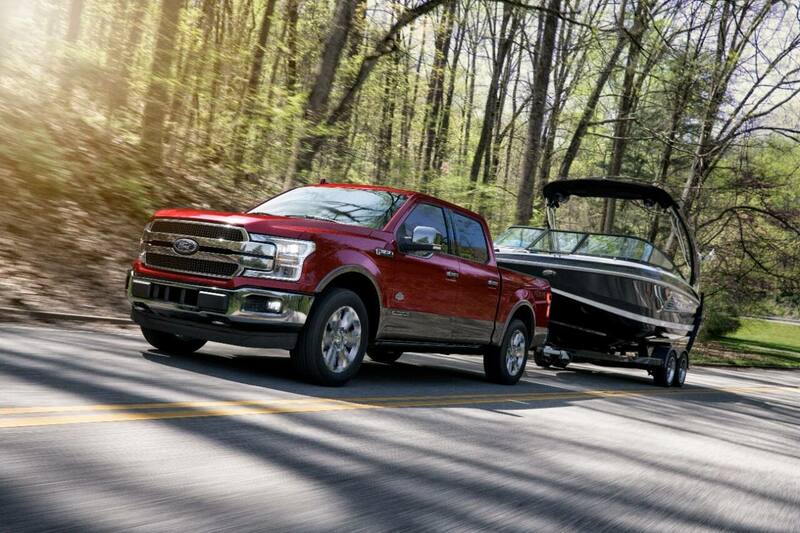 It provides best-in-class diesel towing of 11,400 pounds for pulling boats, horses or RVs. The new engine also provides best-in-class diesel payload – 2,020 pounds for XL and XLT fleet applications, and 1,940 pounds for retail applications – to easily haul equipment, supplies or a slide-in camper. F-150 Power Stroke diesel shares its proven commercial-grade technology with F-Series Super Duty’s 6.7-liter Power Stroke – America’s most powerful, capable heavy-duty pickup truck ever. The 2018 Ford F-150 with all-new 3.0-liter Power Stroke diesel engine will begin shipping to dealers in May. 2b2, Extreme4x4, hbmf3 and 1 others like this. Let's see how this does. I have some concerns that diesel may be a PR nightmare going forward, thanks to VW/Audi and FCA (hopefully NOT due to Ford, who are also under investigation). "The four-wheel-drive version of the truck with a diesel engine, which is expected to be more popular among customers, is rated by the EPA at 20 mpg city, 25 mpg highway and 22 mpg combined, Ford said." Ford also stated the diesel is designed for the 5% F-150 customers who tow and haul more than the norm, because otherwise the $2,400 to $4,000 premium over EcoBoost plus the .30 cents more per gallon would create a math problem. Last edited by Bloggin; 04-19-2018 at 06:52 PM. I am not a fan of Diesels, will never own one......but to those who actually buy them to use them as haul/tow vehicles, actually KNOW what they are talking about, and know that the math is not a problem in the slightest. Diesels under heavy load will get far better fuel economy than a turbo gas engine. The 3.5L gets 19avg, but not only are you hard pressed to get that 19 under typical use, it drops to about 12-14 with a U-haul trailer. I have done it and know. Yet that 22avg in the Diesel will probably barely budge into the high teens with a similar trailer. And when was the last time you heard about Diesels not getting better than claimed mpg under typical use. And at the end of the day, it's not just a bigger monthly payment and delta at the pump, but how it drives with that Diesel torque WHILE towing. Ford is adding this with minimal fanfare, given all the PR shitstorm of late. But those few who NEED small Diesels in a lighter truck, could care less about that nonsense. You have to admit, that fact that you can load up your entire family into a 4 door full sized truck, and get at least 30mpg on a highway trip, is impressive.